What do you need to know before moving into motorcycle storage? The tips from our Santa Fe Self Storage experts will show you how easy storing your summer transportation can be. On those bad weather days that turn into weeks, our self storage units can be helpful for storing your vehicles on two wheels. After a long season traveling, your motorcycle may need a little care. Make it shine with a new layer of wax and a fresh cleaning. Flush coolant, brake lines, and gas lines before letting your motorcycle sit in storage. Flushing these lines only needs to be done once a year. For extra maintenance before storage, change filters and spark plugs. A cover is most important when storing outdoor but can also be equally as useful inside the self storage unit. Keep insurance and registration active as these will be needed to get it back out on the road. Put the battery on a tender, after sitting for a few weeks, the positive charge can start to dissipate. Our storage facilities in Gainesville FL, Stark FL, and Waldo FL are equipped with storage units large enough to house your motorcycle. The next time you or a friend need motorcycle storage, think Santa Fe Self Storage. 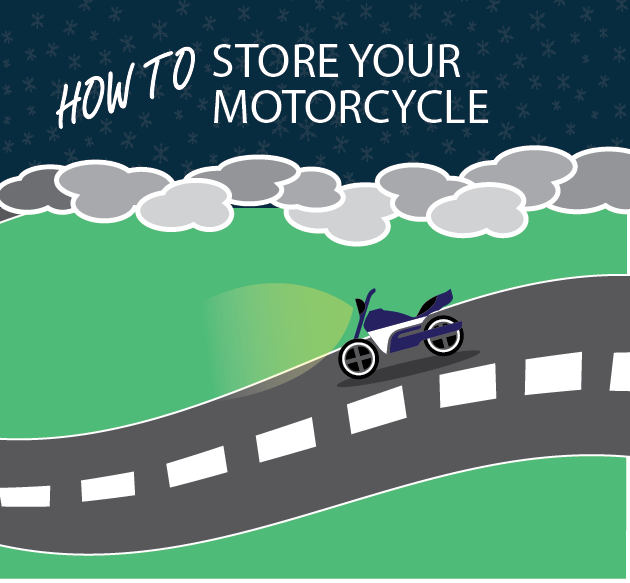 These quick self storage tips with get your motorcycle safe into the storage unit until you are ready to ride again. Looking for storage to help your next big move? Whether your home or business are moving, self storage is a vital part to staying organized. Use our storage space to save your space at home or work. Need help choosing the right storage unit for your needs? Our online resources make it easy to determine the storage unit as well as rent yours online.